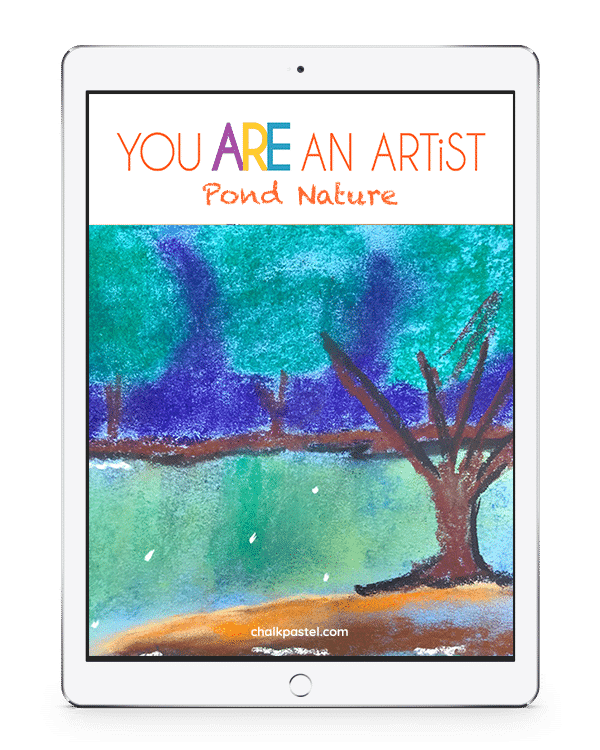 Pond Nature Video Art Lessons - You ARE an ARTiST! 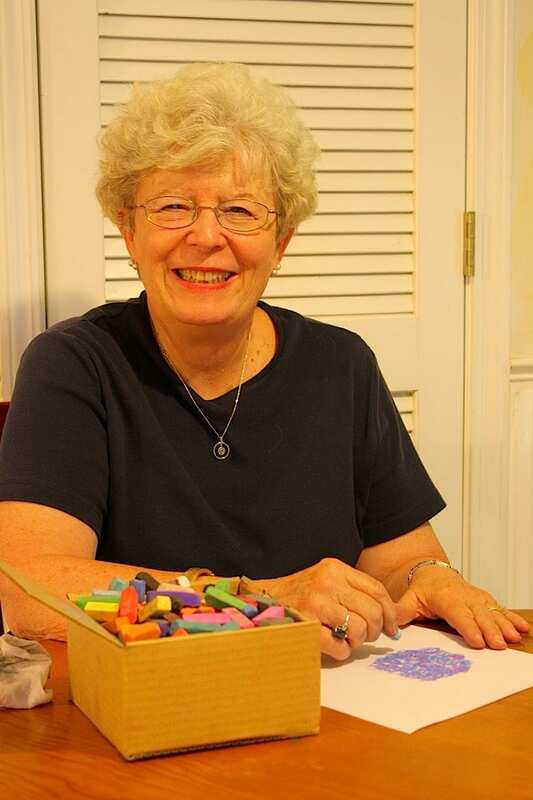 All it takes is a starter set of chalk pastels, construction paper (or your nature journal!) and Nana’s video art lessons to capture the beauty of pond nature! No expensive, intimidating list of art supplies. Pond Nature is a wonderful stand alone art curriculum or a perfect complement to your nature study learning. Not only will you grow to love the nature you see after a visit to a pond, you will learn to paint nature too because you ARE an artist! We show you how in our Pond Nature Video Art Lessons. What is included in the Pond Nature Video Art Lessons? 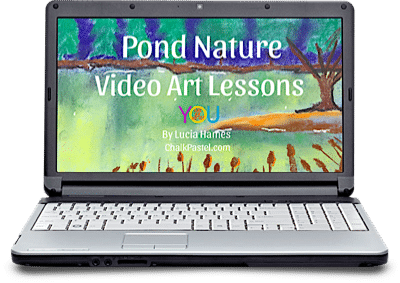 How to view the Pond Nature video art lessons? 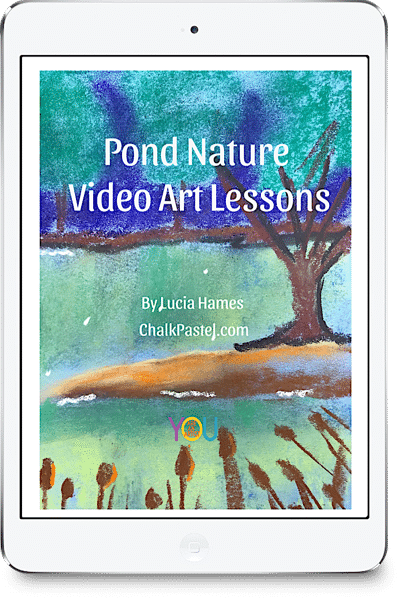 How Can You Use These Pond Nature Video Art Lessons? 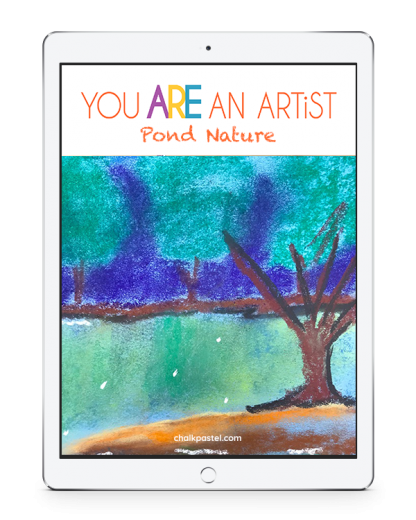 Supplement your pond nature learning with art.